A couple of days ago I found a box at my doorstep from Lark Books. Inside the box were some books for review and I was very excited to take a look at them. From the books Lark sent me were two books that had been part of my collection already and I really like them. The first one I already have is Making Metal Beads by Pauline Warg. Since I got this book I was so happy to see the gorgeous images and wonderful work by different invited artists throughout the book. 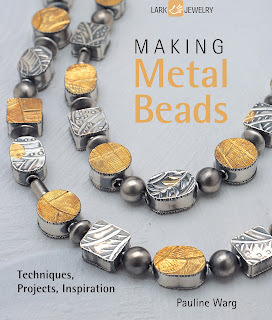 I am a texture passionate and this book has incredible beads with intriguing textures and layers. The book is well written and simple to understand. Every topic is clearly explain and with the help of images, makes the learning much better. The projects are easy to follow and the step by step is also supported by beautiful pictures. This is definitely a book that needs to be in your own collection. Lots of inspiring pieces in this book !! 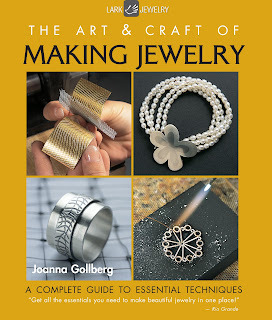 The second book I already owned is The Art & Craft of Making Jewelry by Joanna Gollberg. I LOVE, LOVE this book ! Did I said I LOVE this book ? This is one of those books that every time you read them, you find something new to learn. As you can read in the cover, this books it is a complete guide to essential techniques. Every section of this book is very well written and easy to understand. I like the step by step images that reinforced the techniques being covered. 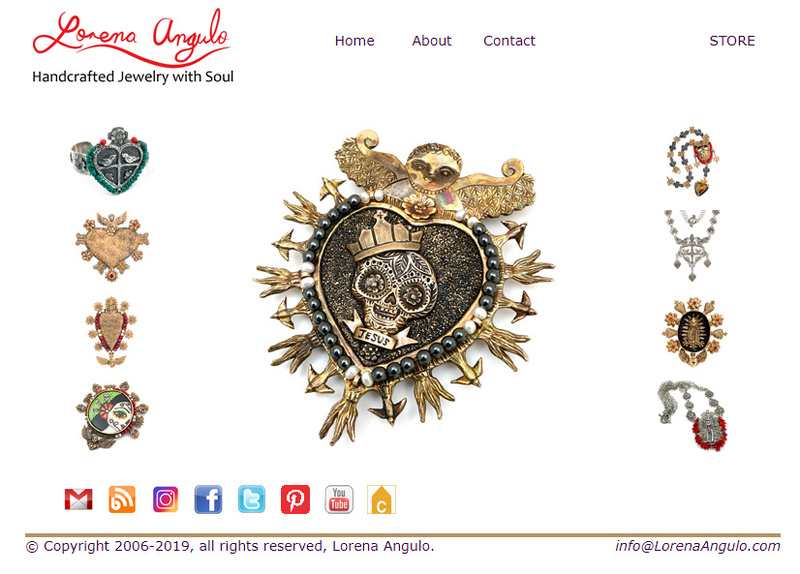 Although some of the projects are for intermediate or advance jewelers, I think they are still very easy to understand. Superb images throughout the book from invited artists. Believe me, you will like this book a lot ! 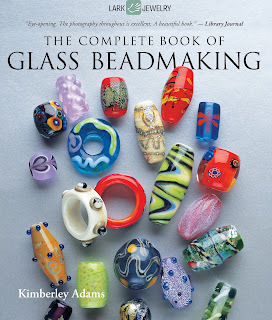 The complete Book of Glass Beadmaking by Kimberly Adams. Although I am not a glass bead maker I found this book very interesting. The step by step pictures are very helpful and it is very well written. Beautiful and inspiring beads throughout the book. This book has very good reviews by people that work with glass. You will like to own this book if you work with this medium and maybe if you are thinking in learning, this can also be a great book to have. 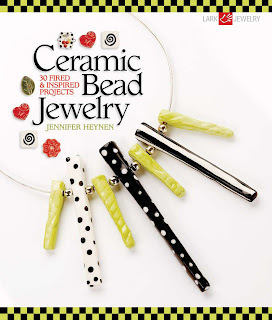 Ceramic Bead Jewelry by Jennifer Heynen. This is a beautiful book with five chapters and projects. Some of the information covered in this book is bisque firing and glaze firing, decorating beads, making greenware beads and techniques for jewelry making. 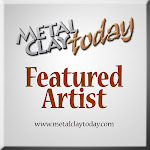 Very nice projects and images. Contemporary Bead & Wire Jewelry by Nathalie Mornu and Suzanne J.E. Tourtillott. This is another great book with incredible images and projects. 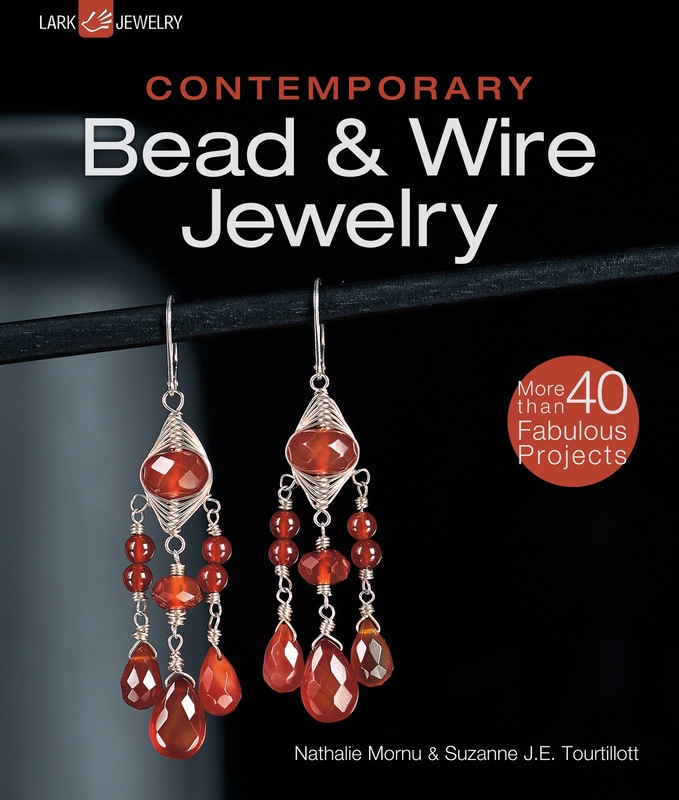 The first section of the book is focus on the basic information to create wire jewelry. They talk about different types of wire, tools and wire techniques. The projects are very eye catching and everyone will enjoy making them. 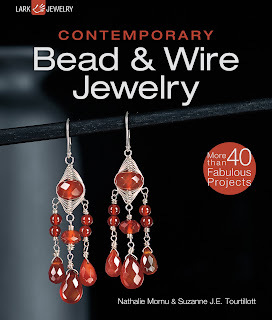 You do not have to worry about soldering since all the pieces in this books are made with just wire, beads and the best tool of all, your hands ! All these books are great additions for anyone interested in jewelry making. Since I own the first two books in this review, I think Lark will be okay with me having a giveaway of these two books. If you want to win Making Metal Beads by Pauline Warg or The Art & Craft of Making Jewelry by Joanna Gollberg. The only think you have to do is comment in my post and for extra points you can post this review in your Facebook, blog or Twitter. Let me know if you repost it. I will pick up two names on December 22 and announce the winners in my blog. Thanks for reading and participating !!!!! I got that same bundle! So nice to have some early prezzies! Ooooo I'd love to win a book! Thanks for the opportunity. What a nice selection of books they sent for you to review. I'm a bit of a book junkie myself. I'd love to win one of the books. You are a most generous soul Lorena. May you have a most merry Christmas! Awesome, I would love a chance to win either one of these books! Sign me up please! I also blogged about your giveaway with links to your blog and Flickr. Time to start my book collection...Thanks for the chance to win Lorena. Oh wow, what a fabulous package! And how nice of you. Sign me up please! I'd be delighted to have a cooy of Making Metal Beads by Pauline Warg. I would love to peruse those books and have them in my collection! Great giveaway!